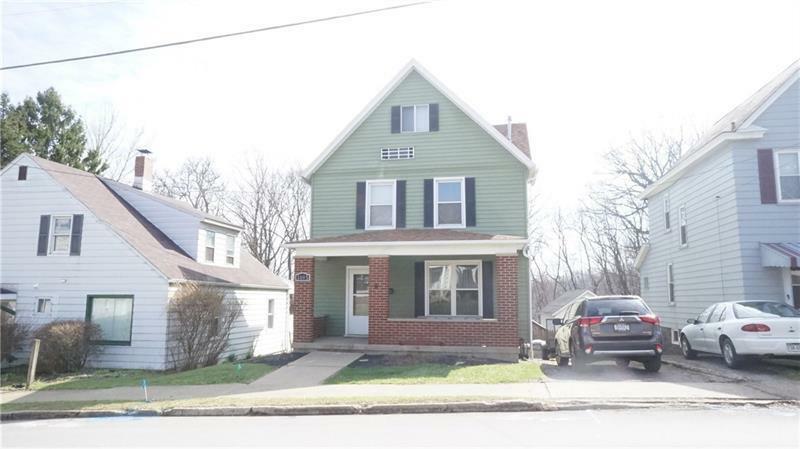 Lovingly cared for, this three story home offers living room w/decorative fireplace, newer eat in kitchen with stainless steel appliances, solid surface countertops and plenty of storage space, den on first floor could easily work as an office or additional bedroom. Upstairs you'll find spacious updated bath with large linen closet and granite vanity. Third floor is finished with three additional rooms that offer room for storage, bedrooms or play rooms. Basement is finished and features sizable laundry area as well as new full bath! Central air! Outside you'll find covered front porch, five yr old roof, and large rear deck overlooking fenced in backyard. Minutes to downtown, Route 8 and 356! McQuistion Elementary School.